Fr. Matthew Penney is an Orthodox priest in the Canadian diocese of ROCOR. 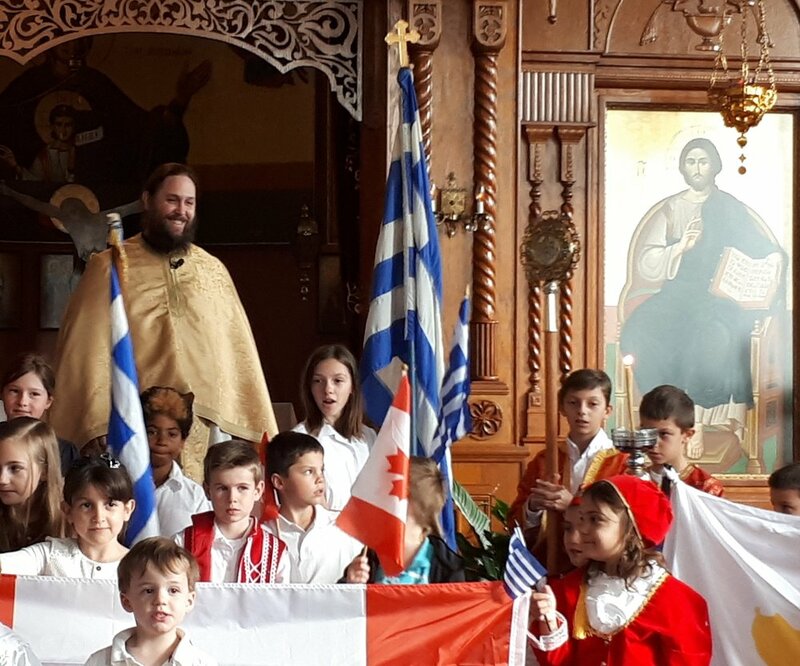 He is the current parish priest (on loan to the Greek Orthodox Metropolis of Canada) at Dormition of the Theotokos Greek Orthodox Church in Kingston, Ontario. Fr. Matthew is completing the final year of his PhD in Education at Queen’s University in Kingston. His dissertation is entitled: “Happily Married or Trouble in Paradise? Saint Gregory Palamas and the Tension between Exothen (secular) and Kath’imas (spiritual) Education in fourteenth century Byzantium.” He is also the spiritual advisor and study-group leader for the Orthodox Christian Fellowship (OCF) chapter at Queen’s U, a position which he has held since the group’s formation in 2014. Additionally, Fr. Matthew is the current Faculty Director for the Certificate in Theological Studies (CTS) program at Holy Trinity Orthodox Seminary in Jordanville, New York, where he also teaches two online courses each semester: Introduction to the Old Testament I & II. He has been an instructor since 2015. Fr. Matthew is one of the founders of Lumination Press, which launched in April of 2014. He is the author of the young adult novel, Voyage to the Rock, and the young adult novelette, The Light Guardian: Beginnings. Fr. Matthew also taught in South Korea for two years. In his first year, he taught kindergarten to age 13, and in his second year, he taught university-aged students and older. Father studied Classics at the Master’s level at Dalhousie University in Halifax, NS, for one year, and he graduated with a B.A. in Ancient and Medieval Philosophy and Great Books from St. Thomas University in Fredericton, NB, Canada. He also completed four years of Ancient Greek language, and one of Latin, during this time. Fr. Matthew is a native of Canada’s East Coast and was raised Roman Catholic, before he and Presvytera Catherine discovered and converted to the Orthodox Church during their early university years. They have been happily married for nearly 17 years.